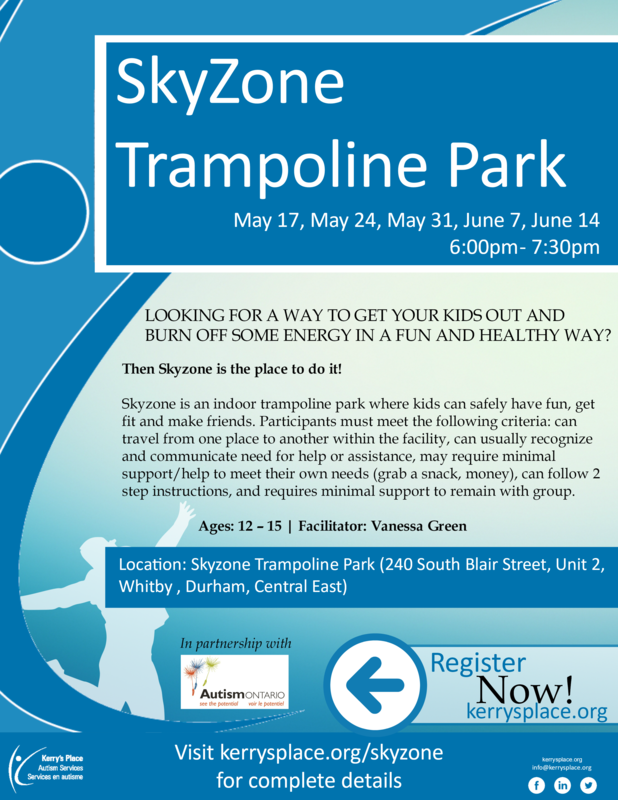 IT’S THAT TIME OF YEAR AGAIN WHEN FAMILIES NEED TO START THINKING ABOUT SUMMER CAMP OPPORTUNITIES FOR THEIR CHILDREN. Enrolling children into a camp program provides them with fun, social, learning opportunities while parents some respite. 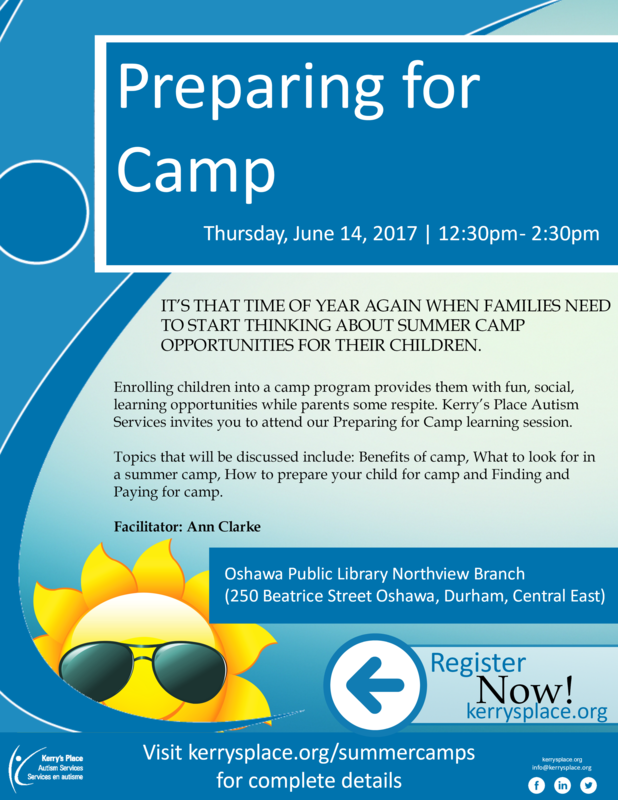 Kerry’s Place Autism Services invites you to attend our Preparing for Camp learning session. Topics that will be discussed include: Benefits of camp, What to look for in a summer camp, How to prepare your child for camp and Finding and Paying for camp.